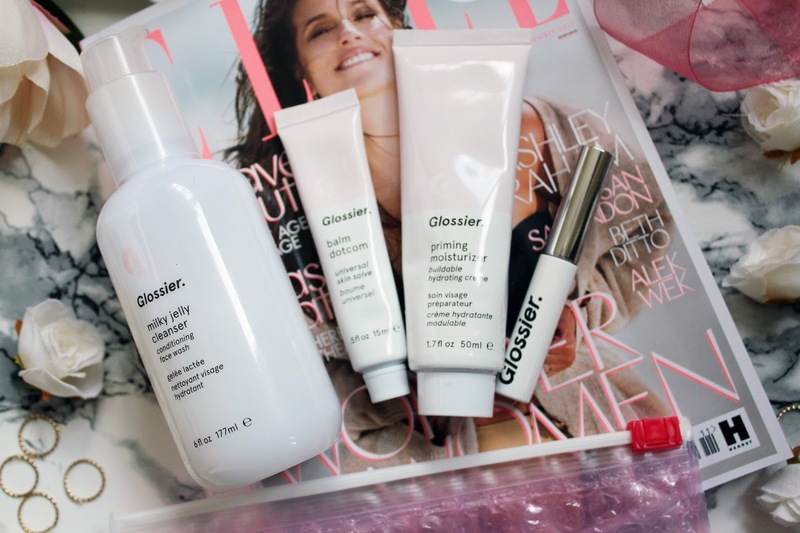 Yes, I fell into the Glossier trap. 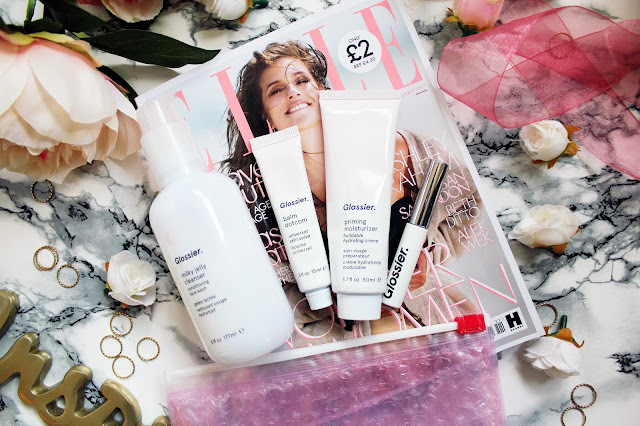 The trap, which has managed to catch pretty much every single beauty blogger and Youtuber right now and for good reason, this brand is INCREDIBLE. I remember first hearing about the brand through The Anna Edit and she probably mentioned Glossier in every single video I watched for the following six months and then she announced those magic words ‘Glossier is coming to the UK’ the words that dreams are made of right? Well it took me approximately about 3 or 4 hours since Anna put up her Glossier blog post till I placed an order (you can get 10% by using my code btw!) 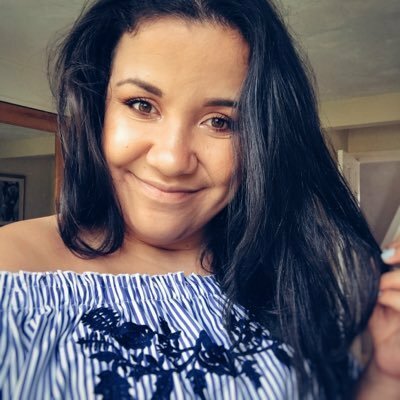 and I have not regretted it one single bit, I am actually thinking about placing another order… I placed my order about 2 weeks ago and I have been trying these products a little over a week, not bad when I found a 20% off code and that these are now three products I use on a daily basis! 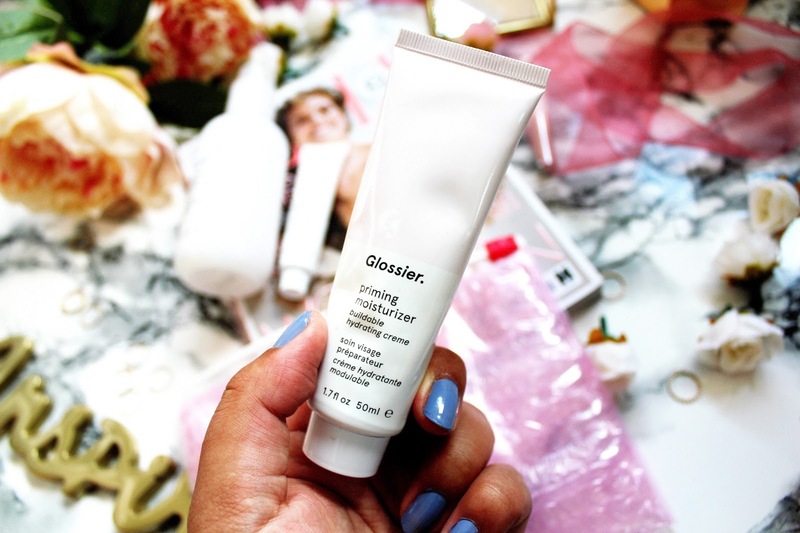 First up it’s the Glossier priming moisturiser and this is so nice if you want to have moisturised and soft skin. I like using this after I’ve used the milky jelly cleanser at night but I also use this in the morning as a priming base before I apply my makeup. This moisturiser helps even out my skin tone and leaves my skin feeling fresh and looking dewy. This multi-purpose lip balm reminds me a bit of the Elizabeth Arden 8 Hour Cream. 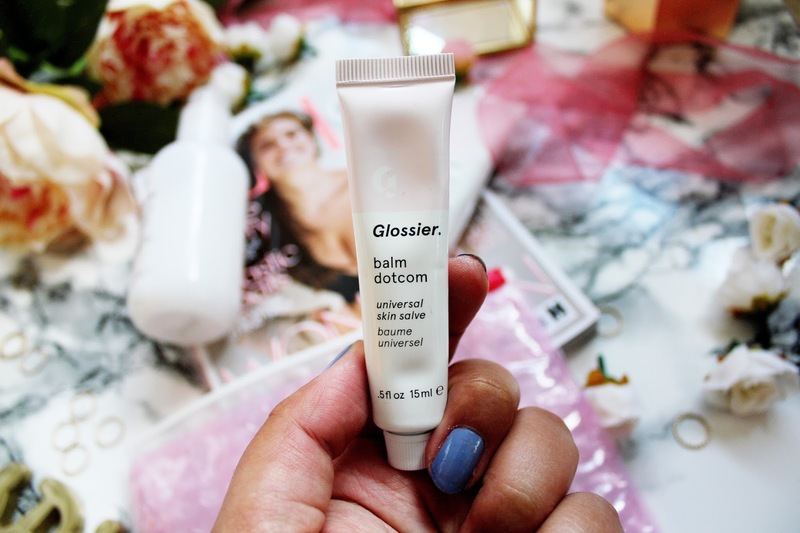 The Balm Dotcom helps repair dry skin and helps to nourish your skin at the same time. It comes in 5 flavours, but I opted for the original one but I’m sure I’ll expand my collection! 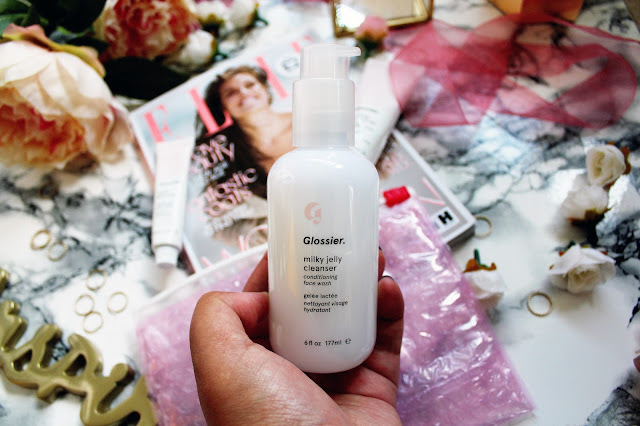 After hearing Anna rave about this for months, I was pretty glad to get my hands on a bottle of this cleanser and this definitely lives up to the hype it’s been given online. This face wash is amazing! You can use this to remove all your makeup (including waterproof mascara!) and you it as a cleanser or just a refresher for your skin morning and evening. After using this my skin is literally SO soft the only way of describing this cleanser is like giving your face a hair mask treatment! I’m a big lover of all things brow related. I love getting my eyebrows threaded and I am always on the hunt for an affordable beauty product to tame them. I have been a huge fan of the L’Oreal Brow Pomade but when I’m in a rush or just wanting a bolder brow look, this boy brow is AMAZING. I actually prefer it to using the Benefit Gimme Brow as well. If you are on the hunt for an amazing brow product then you NEED this. Lovely picks! I love the face wash, but I have to say I don't find as effective as removing makeup as you do! I'm glad to hear that you love the Boy Brow, though, I really want to try it! 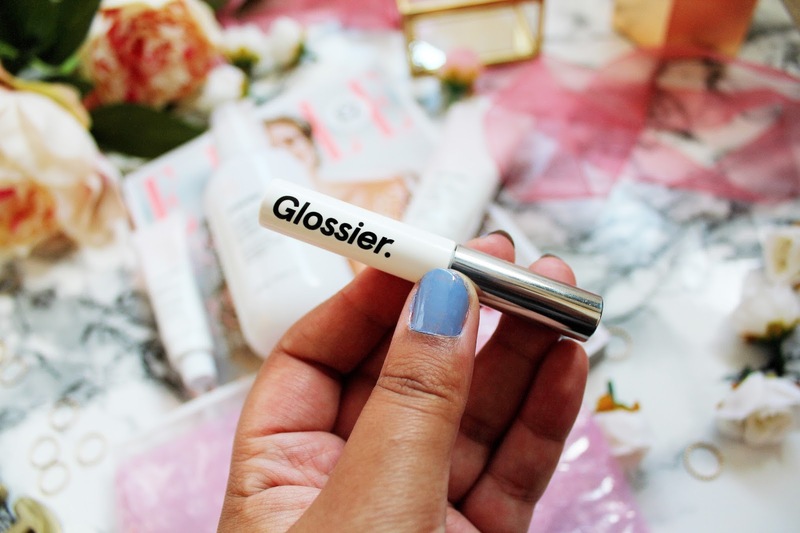 My favorites from Glossier are the Boy Brow, Haloscope and Balm Dot Com. 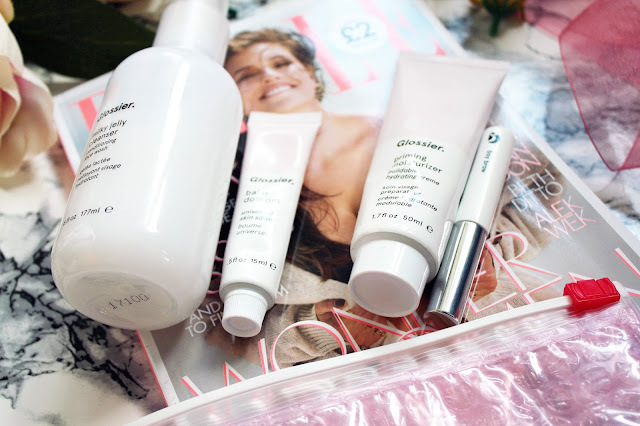 I have yet to try the Priming Moisturizer, but it's something I've been wanting to purchase! Thanks for your review!